Looking for a new computer for graphic design? You're in the right place. If you require better ergonomics, a bigger display and more power for less cash, you're better off going for a desktop than a graphic design laptop. Creating great work is all about having the right skills – but a machine with sufficient specs is also important for creating work that will please your clients and take pride of place in your portfolio. There's a lot of choice out there, however, which is why we've put together this guide. Here, we've selected six of the best computers for graphic design. Whether you're a Mac user or a Windows wizard, you'll find something in this list that suits your needs. An affordable desktop powerhouse with a stunning screen. It's easy to see why the 2017 refresh of Apple’s classic. all-in-one gets our vote for the overall best computer for graphic design. 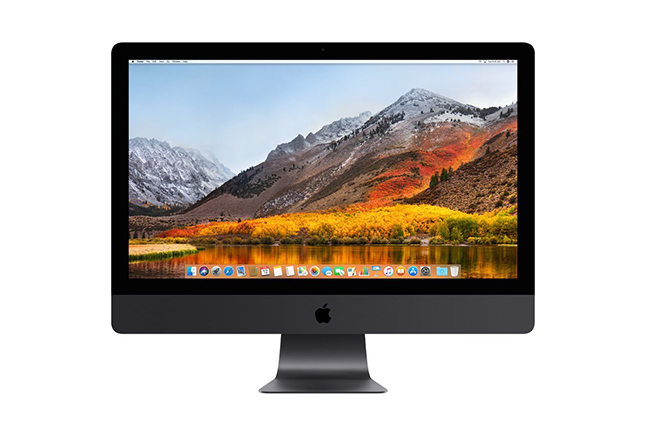 It packs impressive processing power, speedier storage and dedicated graphics into a brilliantly engineered body that takes up very little space on your desk – and it's dramatically cheaper than the iMac Pro (at number four in this list). Sure, it might not be 5K – like the astronomically expensive iMac Pro – but this iMac’s stunning 4K Retina display is 43 per cent brighter than before and boasts a wider range of colours (one billion, says Apple) than some competitors' monitors thanks to its DCI P3 colour space. All this means you get extremely accurate colours, deeper blacks and a greater vibrancy, which is perfect for anyone working in design. to get a decent Mac: the 21-inch is a compact desktop powerhouse that’s ideal for graphic designers. A brilliant desktop PC that offers a great combination of performance and value for money. Intel’s latest eight-generation desktop processors have had a significant performance bump, thanks to their default six CPU cores. This means even the most affordable desktop workstations in Scan’s 3XS Design range pack a real punch when running content creation applications. The Scan 3XS WI4000 Designis our favourite, offering a very generous specification that delivers significantly more graphic design performance than a laptops or all-in-one system. This includes using Nvidia Quadro professional grade graphics cards, certified to work flawlessly with design software and capable of driving multiple displays. Opting for a desktop tower does mean you’ll need to buy a display to work alongside it (you'll find the best 4k monitors here). But it also gives you greater freedom to upgrade components, with a range of even more powerful CPUs and graphics cards, extra memory and storage available from Scan, either as one-off modifications or in the rest of the 3XS range. A top Windows PC for graphic design. 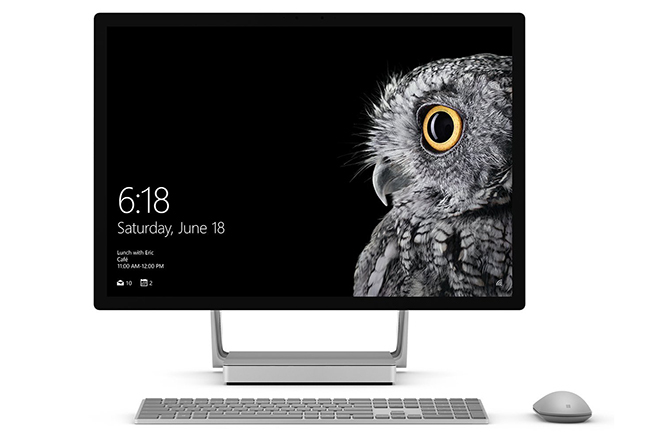 It might sound clichéd to say that the Microsoft Surface Studio is the Windows-based answer to the best iMacs on the market, but clichés are generally rooted in truth. This is no inferior substitute, however – it's the go-to workstation for Windows users. Check out the paper thin 28-inch PixelSense Display that puts the vast majority of other 4K screens out there to shame. But that's not the best bit – it's touchscreen as well, meaning you can actually draw straight onto the monitor with the superb Surface Pen. If you've not used it before, you'll be surprised just how accurately the 4,096 levels of pressure-sensitivity allow you to sketch and draw. Saying it's just like a pencil and paper isn't really too much of an exaggeration. The best alternative Windows PC for designers. It's hard not to be wowed when you first lay eyes on the monumental 34-inch curved screen of the HP Envy all-in-one. The ultra-wide QHD (3,440 x 1,440 pixel) LED backlit Micro Edge display is unlike pretty much anything else you'll currently see on the shelves. It's an astonishing amount of room to let your creations breathe, and displays plenty of screen furniture to let you make edits and changes with the utmost convenience. It's like having a dual display, but without the clunky hardware. Pretty nice for catching films and TV box-sets on your downtime, too. Inside there's 8GB of RAM, a quad-core seventh generation Intel Core i7 processor and a 256GB SSD + 1TB HDD combination hard drive. A top spec for your cash. Enough guts for graphic design without the expense of alternatives. The Aspire S24 is a gorgeous looking all-in-one that can handle the rigour of graphic design work, but carries a slightly smaller price tag than the competition. They key is the inclusion of an eighth-generation Intel quad-core processor across the range, which will certainly cope well with design software tasks, from editing video and animations to processing complex high resolution images with multiple layers and filters. It has a 1080p, full HD IPS display that carries tiny bezels and is just 6mm thick, with the computer housed in the base, using a very attractive gold and black design that will really stand out on your desk. And as an all-in-one, it has everything a graphic designer will need right out of the box.